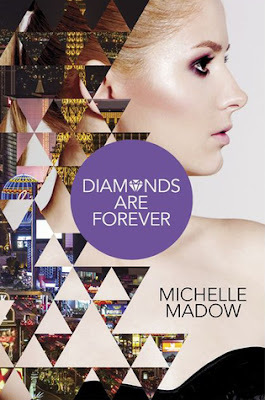 Diamonds are Forever is a great ending for the Diamond sisters story. I loved seeing how the girls have changed and grown. Now finally settling into their new lives. Plus the Vegas setting and trip to Aspen is a great setting for the drama. So Peyton is such a lost soul. Sometimes I get really irritated with her and sometimes I really feel for her. One of my friends actually did a gap year where she spent that time in Japan. She’s a doctor now so it was obviously a good thing for her. I like that she really starts to consider her options more seriously. It’s just took a little nudge from a special source. Peyton is odd girl out in the romance department since Jackson has left town. (for GH) With Jackson gone and that causing her lack of interest in guys. Peyton has to find a way to make herself happy which makes her a better person for a relationship. When I was reading about Savannah and Damien I was thinking about the first book and how much their relationship has changed. Savannah is not perfect and I remember not liking her in the beginning. She still has this innocence about her but it’s more like it’s her armor. To believe in the best of everything. Make the most of situations. She’s not as naive as she is open. She is almost the best person in the series because of her unconditional way of living. Courtney is kind of navigating not having to carry the weight of the world on her shoulders. She is still mourning her loss and dealing with how to respond to her mother and grandmother after they kept such a huge secret. Her secret relationship with Brett is a big deal to her since she is not a rule breaker. Plus her relationship with him is something that is special, precious and new for her. They are so cute together and I liked seeing Courtney allowing herself happiness. Madison is definitely really different. She really wants to be close with the Diamond girls but also realizes she damaged that relationship. She is putting herself out there way more than she did before and trying. Same goes with Oliver, she realizes after almost losing him how important he is. In true Madison style she is not going to take no for an answer and takes charge of her fate. I’ve really enjoyed this series. It has the great setting of Vegas, which was really fun to read about. I like having so many different perspectives so that you could root for one girl while being annoyed at another. Then the next day you might flip flop, kind of like having them as actual siblings. I liked how things end up wrapped at the end. This is an ending we have been working for through the whole series and it’s not just something that pops out of nowhere. We’ve really seen these girls change and figure out how to fit into their new lives but I also really liked how saw their relationships change. I would have to say that’s my favorite part. So if you are looking for a fun drama filled contemporary. This is definitely a great one. I could see this being an awesome TV show.